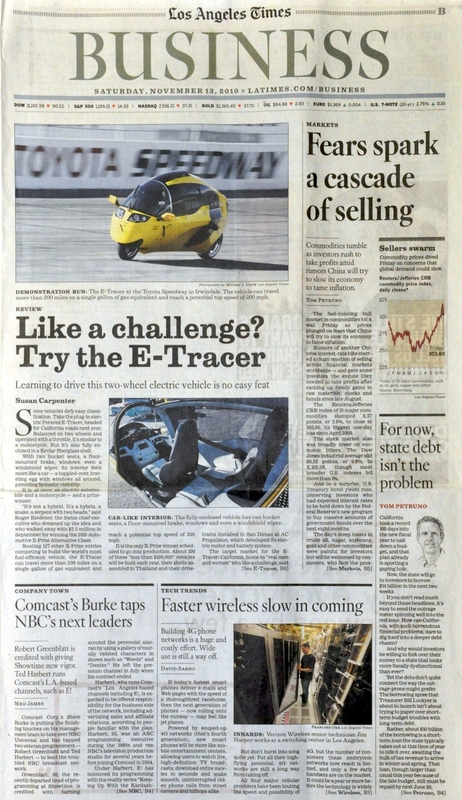 LA Times E-Tracer page 1. 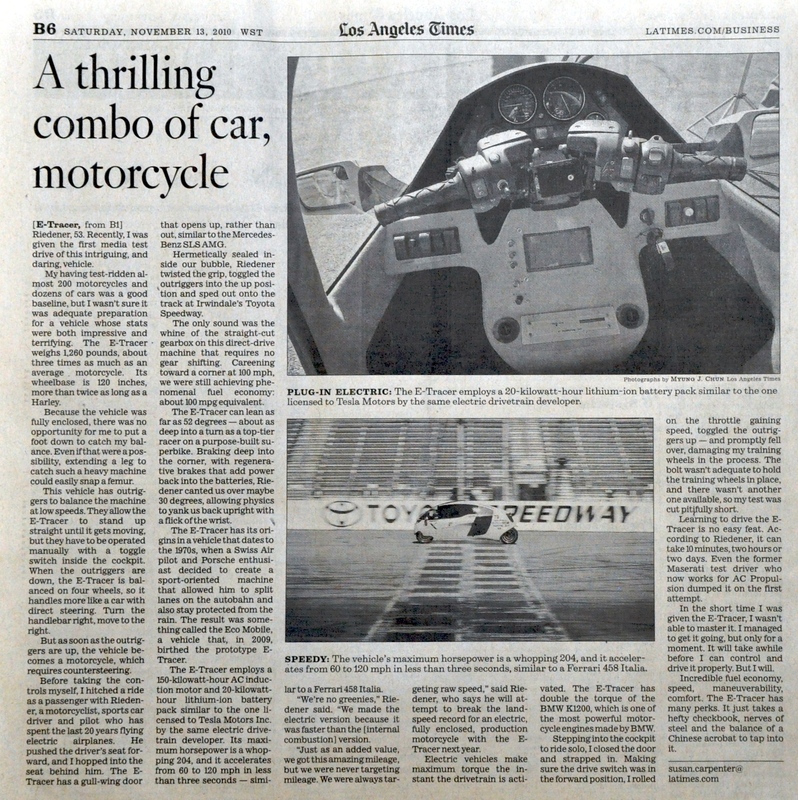 LA Times E-Tracer page 2. This entry was posted in Peraves and tagged E-Tracer, LA Times, Susan Carpenter. Bookmark the permalink.